Wear a piece of Washington and Lee history! In 1982, the Generals lacrosse team made its way into sports history with coach Jack Emmer's controversial play known as "The Armadillo." The Armadillo's debut was somewhat successful, but it never had another chance to shine because it was completely banned shortly thereafter. You can read more about our interesting place in lacrosse history here. 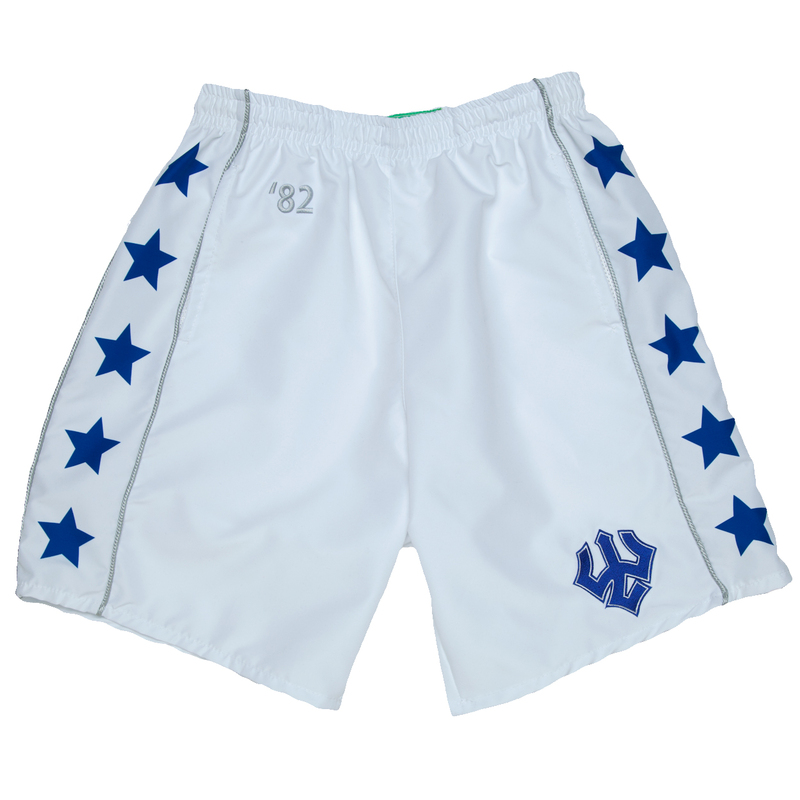 We're bringing back the glory of the '82 lacrosse team with these throwback lacrosse shorts from Streaker Sports. Made in the USA from polyester microfiber in a distinctly vintage style, these shorts are a great way to celebrate W&L history while still getting top-of-the-line performance from your sportswear.